Why is there a vertical and horizontal thread holder? As a newbie sewer somewhere along the line I’d learned a little-known fact about thread and why there are often two spool holders on your machine – one that lies horizontally and one that sits vertically. These are made to accommodate the two different types of wound thread spools. 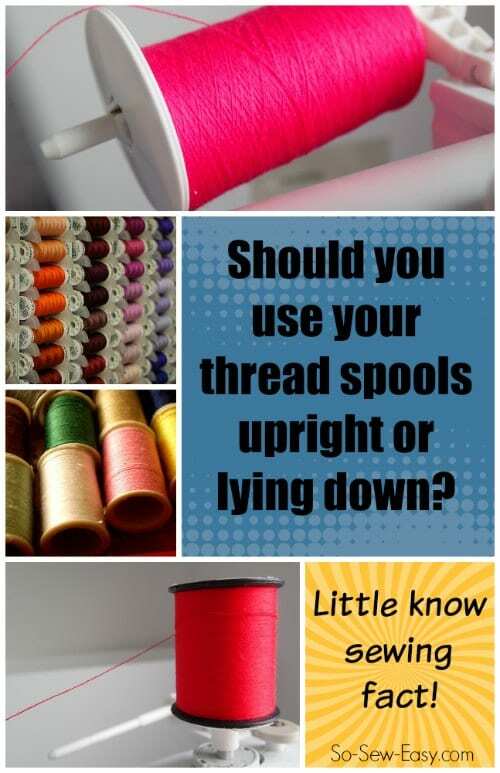 These threads are wound onto the spools in different ways and that means in order to give you the best possible sewing performance, they should come off the spool in different ways too.